Emails can be sent to clients when appointments are booked, rescheduled or canceled. Appointment reminder, second appointment reminder and followup emails are also supported. 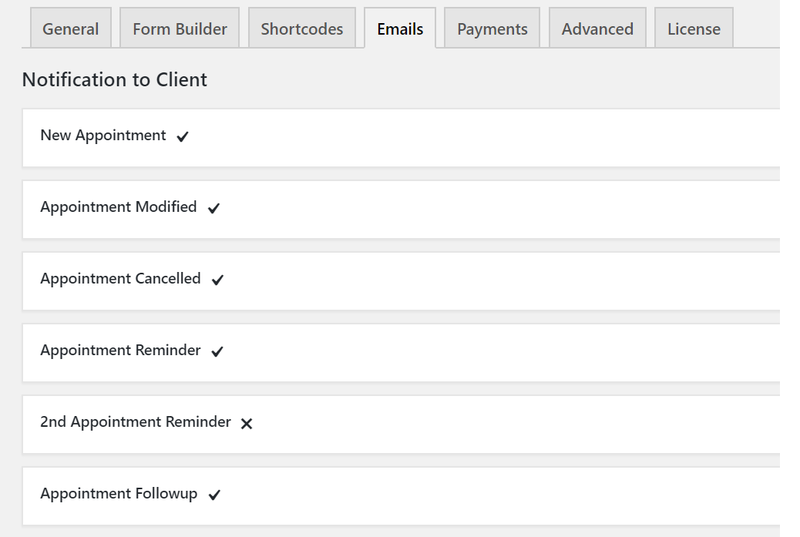 To enable email notification to clients, go to WP Admin > BookingRobin > Settings > Emails tab. Customizing email templates is supported. Check this article for more details on all available tags.